Based on realistic classic drawing, my goal for each portrait is to emphasize the beauty or magic of a face, whether from a photo or “live”. Throughout the year I have commisions that I usually fulfill in my homestudio where the customer accompanies and participates in the drawing process via digital photos and mails. Every summer I draw in Copenhagen, on Strøget (the pedestrian street), in front of the Church of the Holy Ghost (Helligåndskirken). 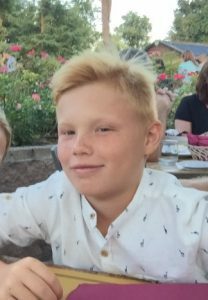 It is instructive and enjoyable to get reactions from tourists from all over the world, and hear the different comments from portraits and caricatures. The idea for this webshop (martinvestergaard.com) originates from Strøget, where people asked how they could email photos to me. 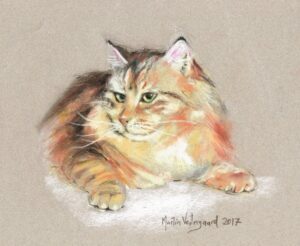 Many customers also order portraits of their pets. 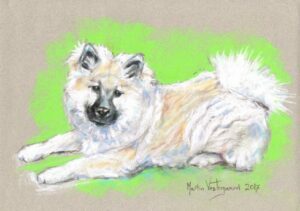 Here I often choose pastel colors because of the beautiful colors of the fur. 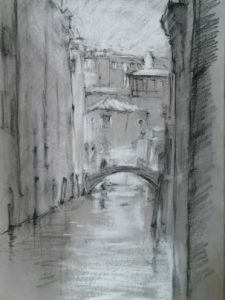 On my travels, I always bring a sketchbook, below: Houses in Venice. 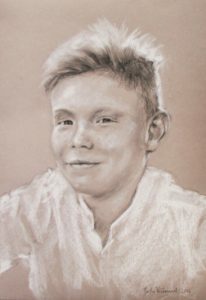 In my artistic journey, see my CV on this page, I have attended drawing courses, including the Art Academy in Seville, and workshops held by international portrait artists. Eg. Heather Spears (Canada), Davy Lim (Paris), Julio Puentes (Spain). 1975-1981: Courses in basic drawing and painting. 1981, USA: Taught at drawing workshops and had portrait exhibit at French Woods Festival of the Performing Arts, New Jersey. 1981-1990: Master of Arts Degrees in Spanish, French and Psychology. 1983, France: Exhibit with maritime pictures in the fisherman village of Collioure. 1985, Copenhagen: Exhibit of portraits at Jagtvejens Bibliotek. 1985-1988, Copenhagen: Courses in croquis and portrait held by the Canadian portrait artist Heather Spears. 1990-1991, Spain: Courses in classical drawing at the Academy of Fine Arts, Seville. 1990-1992, Spain: Taught classes in drawing and had portrait exhibitions in Seville. 1993-2011: Collection of illustrations for use in teaching in primary school, high school and evening school. 2006-2011: Denmark: Portraits of all participants at family summercamps in Denmark. 2012-2017: Copenhagen: Croquis and Portrait Drawing in evening courses and at the Vera Copenhagen School of Design, and at events. 2012: Copenhagen: Portrait exhibit and Portrait Drawing in Tivoli. 2012-13: Hillerød: Portrait exhibit and Portrait Drawing at Horticultural Fair. 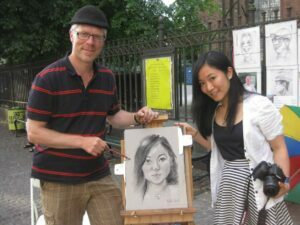 2013: Copenhagen: Portrait exhibit and Portrait Drawing at Nyhavn. 2014: Copenhagen: Portrait exhibit and Portrait Drawing at Falconer Center Art Fair. 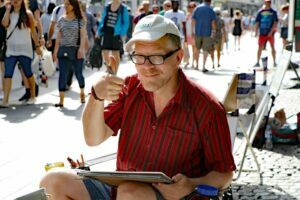 2014-17: Copenhagen: Portrait exhibit and Portrait Drawing at Strøget in front of the Church of the Holy Ghost (Helligåndskirken), summer. 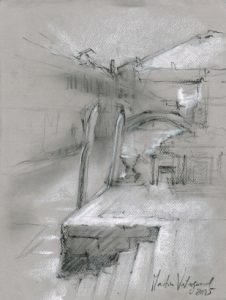 2015: Spain, Mallorca: Portrait exhibit and Portrait Drawing by the Cathedral. Two weeks in August. 2016 -: Opening of this webshop with Portrait Drawing after photos. 2016: Italy, Venice: Study tour, August. See gallery. 2017: Copenhagen, Winter Jazz Festival: Music sketches. See gallery. 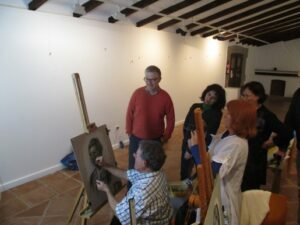 2017: Spain, February: Workshop held by the portrait artist Julio Puentes. 2017: Copenhagen, March: Portrait exhibit and Portrait Drawing of cats at Vallensbæk cat exhibit, see gallery. 2017: Århus: Portrait exhibit and Portrait Drawing at Easter exhibit at PS Art Gallery. 2017: Vejle: Portrait exhibit and Portrait Drawing of cats at JYRAK cat exhibit in Vejle, Denmark. 2017: Silkeborg, June: Portrait exhibit and Portrait Drawing at Riverboat Jazz festival. Silkeborg, Denmark.